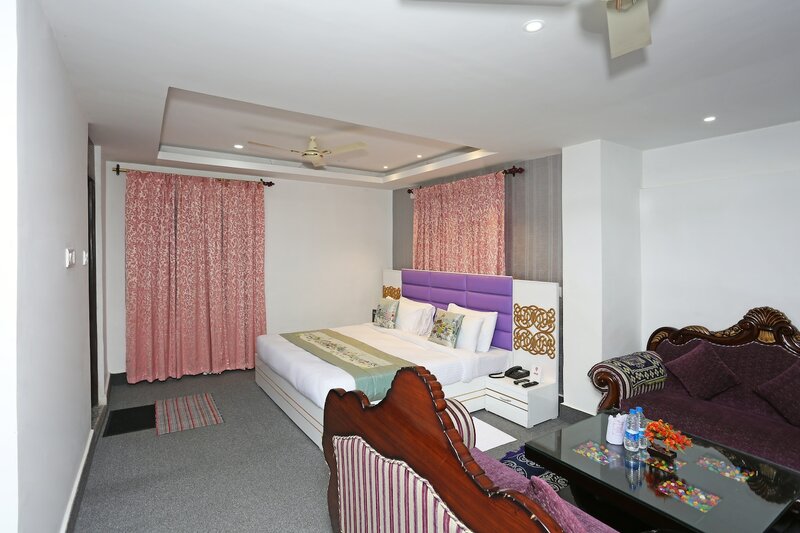 A popular choice among visitors, Hotel Royal Suites offers spacious rooms suited with modern facilities. From designer beds to bold patterns, from furniture to upholstery, everything about this property lives up to its name.The rooms feature rocky and wooden textures and the floral patterns in the rooms make it appealing. The plush sofas make for a regal seating space in the room. The amenities at the hotel include a mini fridge, geyser laundry services and power backup. Free Wi-Fi enables you to stay connected to the online world. Along with an in-house restaurant, the impressive banquet hall and the dining area add to the aesthetics of the hotel and make it an ideal host for events and get-togethers.